The High Holidays are upon us. And we at Machzikei Hadas are here to make sure that the Stanley Cup of the Jewish year is filled with meaning and excitement wherever you turn. 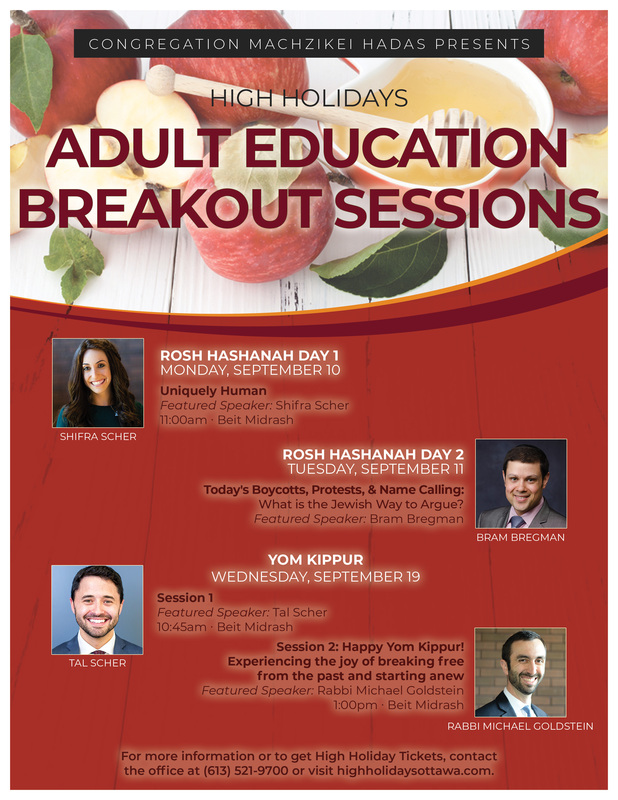 We have endeavoured to be sensitive to the aspirations of every member of our community and are thrilled to offer a High Holiday program that will speak to every person to walk through our doors and into our warm and welcoming family shul. For starters we have our traditional service in the main sanctuary. Led by our beloved Cantor Levinson, the prayers are powerful and the melodies soul-stirring. Throughout this service I try to offer short insights that are both insightful and entertaining to make the service as accessible as possible. Combined with the High Holidays reader that I compile each year, this service promises to be imminently relevant. And new to this year, it will feature a selection of meditations to add even more depth to the experience. But we also understand that there are other ways of providing an impactful experience outside of the main prayer services, and so yet again we will be offering break-out sessions and discussions to inspire and challenge all those in attendance for the year to come. 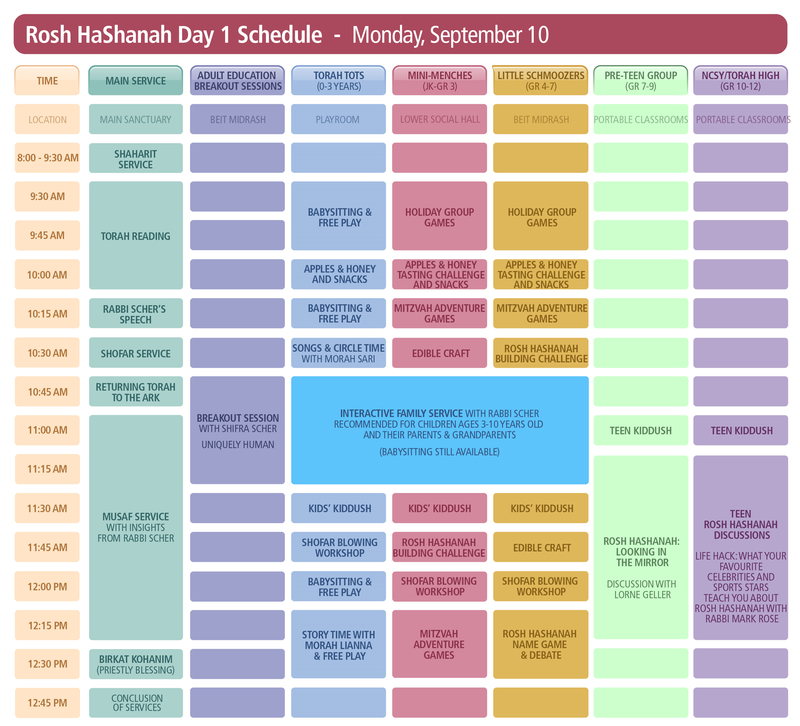 This year’s break out sessions will be more compelling than ever as we hear from Shifra Scher, Tal Scher, Bram Bregman, and Rabbi Michael Goldstein. 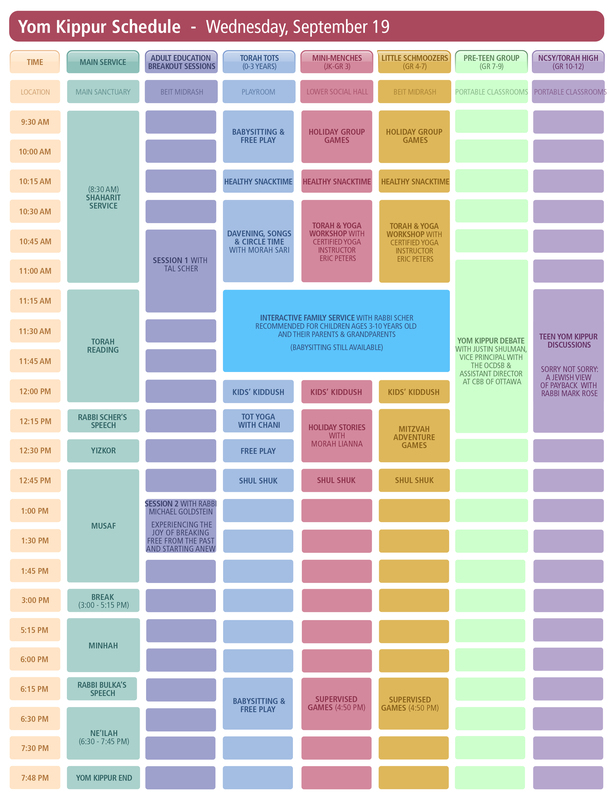 And then of course we have our renowned children's programming. 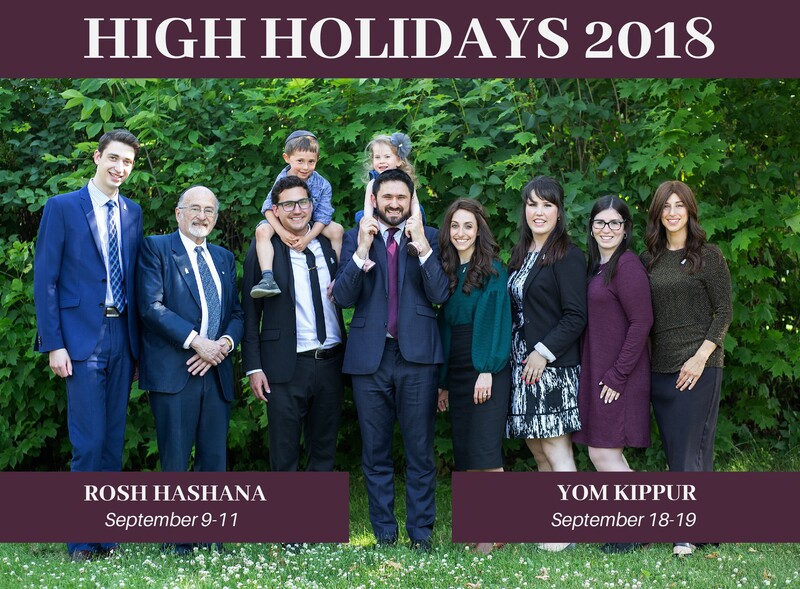 Under the leadership of Dr. Stacy Goldstein and our amazing Youth Programming Coordinator, Lianna Krantzberg, the families in our shul will experience a High Holiday season that will allow them to connect with their Judaism as a family in a way that will keep all the children wanting to come back again and again. Please check it all out on our website below. 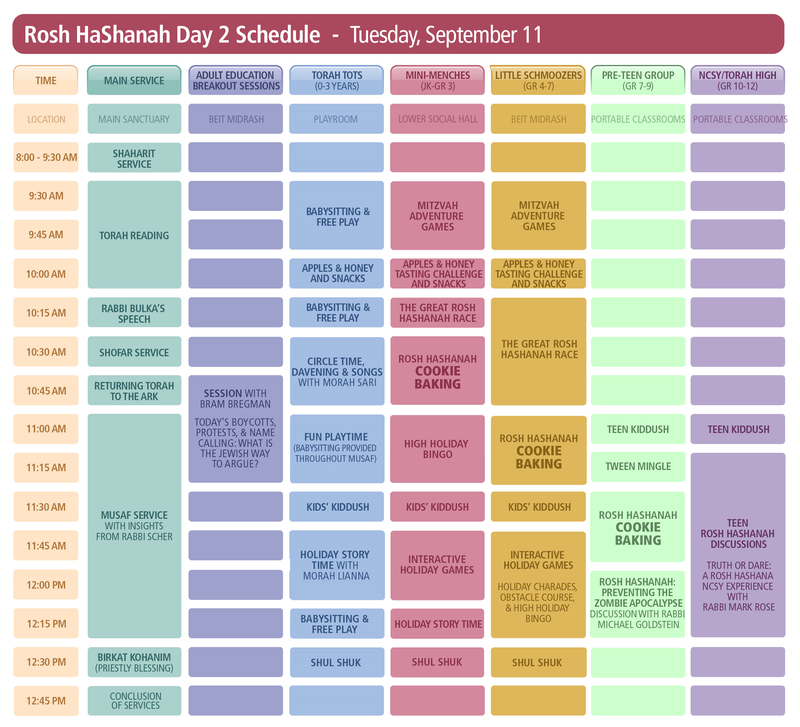 Cant wait to see you in shul! Machzikei has Ottawa's premiere program for your kids this High Holiday season! Our expert team is led by Director of Community Building Dr. Stacy Goldstein and Youth Program Coordinator Lianna Krantzberg. If you have any questions about our program please be in touch! You can reach them at stacy@cmhottawa.com and lianna@cmhottawa.com. 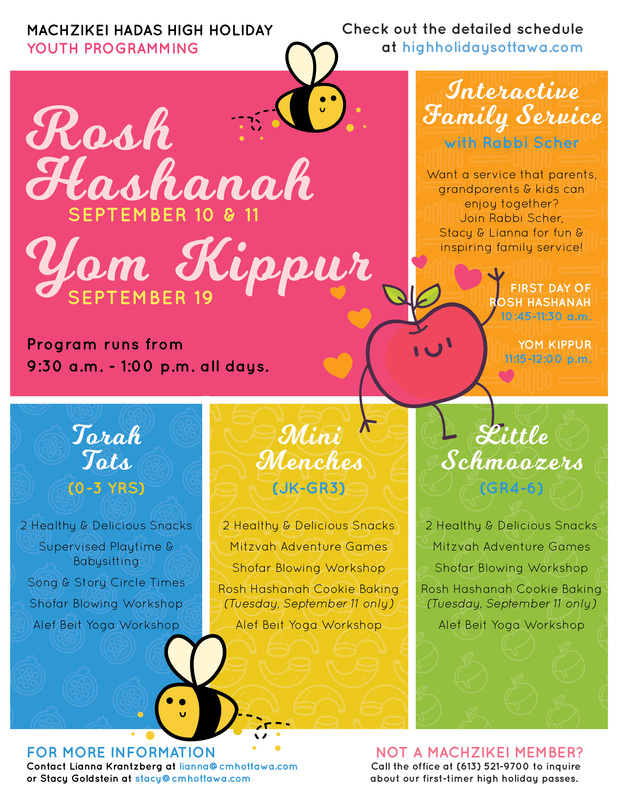 Don't miss the Interactive Family Service with Rabbi Scher on the first day of Rosh Hashanah and Yom Kippur! The family service is recommended for children ages 3-12 together with their parents and grandparents!